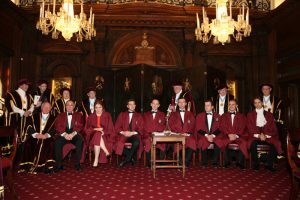 The Winter Banquet, the highlight of our social calendar, is held at the Vintners’ Hall, the spiritual home of the wine industry in the UK. Members and their guests have the opportunity to enjoy fine wine matched with good food and to taste some of the best English wines at the reception. View the Winter Banquet Vintners’ Hall 2018 menu. View the Winter Banquet Vintners’ Hall 2017 menu. View the Winter Banquet Vintners’ Hall 2016 menu. 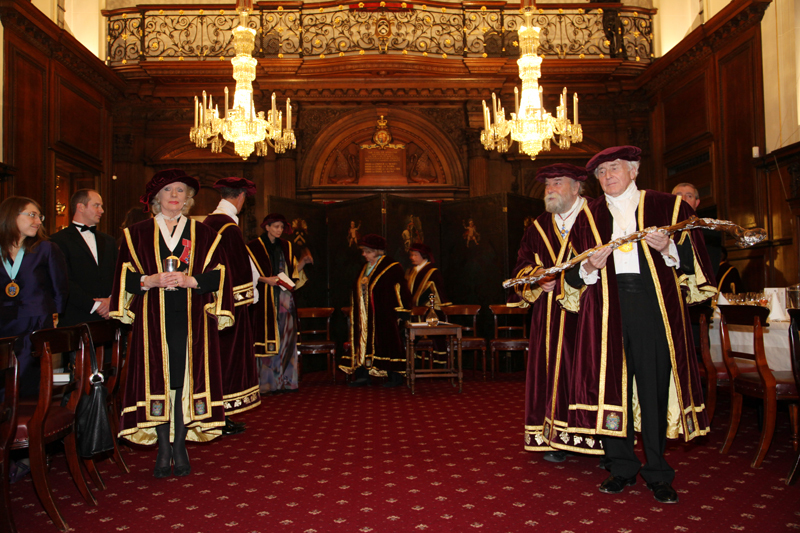 View the Winter Banquet Vintners’ Hall 2015 menu. This is the occasion when we welcome new members in the ceremony of Intronisation and honour those who have made exceptional contributions to the wine and food industry. Honorands include renowned sommelier Gérard Basset OBE MW MS, restaurateur Anton Mosimann OBE DL, Giorgio Locatelli and wine-maker Dirk Richter. Several times a year we host dinners to enable members to enjoy wines selected by our wine committee to match the menus on offer. Examples include a Truffle Dinner curated by Giorgio Locatelli, a celebration of Riesling wines with Dirk Richter, Jane Hunter’s New Zealand wines and of Tokay with Andras Bruhacs. A white asparagus dinner held at the Sloane Club and others at the Stafford Hotel, the Garrick and Sketch Clubs. Some evening events are less formal, including summer barbecues and after dinner entertainments around identifying wines in a fun way, such as ‘Call my wine bluff’ nights where guests have the opportunity to identify wines from our experts’ descriptions. 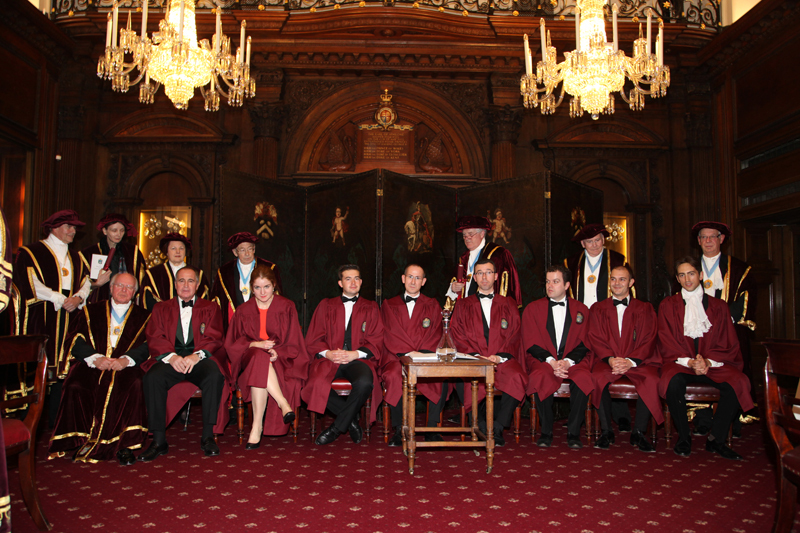 The Guild wishes to help any members who wish to improve their knowledge and appreciation of wines. Events are organised which help members to understand the rapidly changing world of wine production and where value is to be found among excellently made but unfashionable wines. Courses are typically tutored by our expert members, who include Masters of Wine and other experienced wine educators and writers. We hold ‘discovery’ tastings exploring grape varieties or wine regions. Those members who are or become actively engaged in wine education are also able to obtain invitations to specialist trade tastings. Tours, approximately every two years, are arranged to a wine producing area overseas; these have included Hungary in 2001 at the invitation of the Prime Minister, South Africa in 2003, led by Dave Hughes, MW; Tuscany in 2005 hosted by the houses of Antinori and Frescobaldi and Champagne in 2006 at the invitation of the Mayor of Hautvillers followed by Alsace at the invitation of the late Jean Hugel. 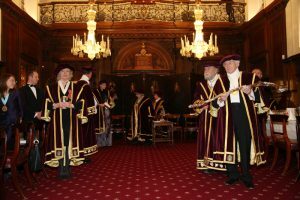 More recently in October 2009 the Guild visited Portugal; in 2013 a small delegation visited Virginia, USA, and a group visited Bordeaux; in 2015 there was a tour to Rioja; Slovenia in 2016; and a tour to Austria planned in October 2017. We also visit vineyards in the UK with a trip to Ambriel Vineyards, West Sussex planned for September 2017.